As their role at Flipkart has diminished, original founders Sachin Bansal and Binny Bansal might already be preparing for a new innings. 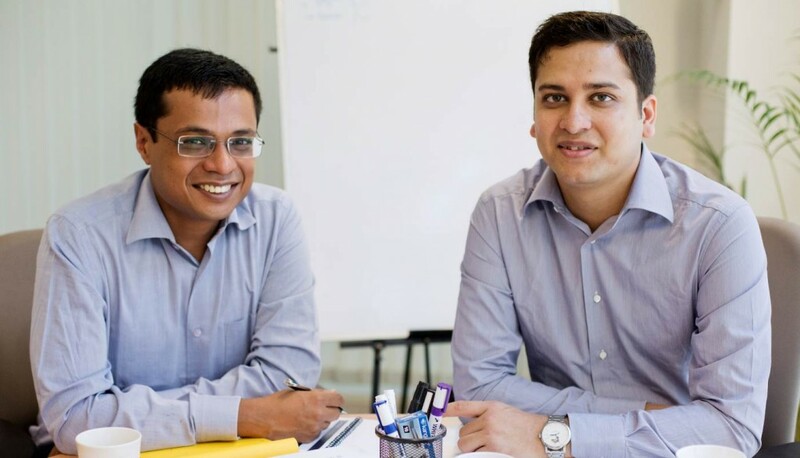 Sachin Bansal and Binny Bansal have quietly incorporated a new company called Sabin Advisors Private Limited, reports Business Line. The name of the company is a combination of their first names, and as per the incorporation records, the the company lists its vertical as “Business Services”. The company was incorporated on 8th December 2007, and registered address is “3rd & 4th Floor, Salarpuria Tower-1” in Koramangla. Notably, co-working space 91Springboard operates from the 4th floor of this building. That doesn’t immediately mean that Sachin and Binny will now be working out a co-working space on their new venture, but it does indicate that the Flipkart founders are actively looking at opportunities outside Flipkart. The duo had founded Flipkart all the way back in 2007, and had grown it into India’s most valuable startup. But in January 2016, Sachin Bansal, who’d been the CEO of the company since its inception, had stepped aside and co-founder Binny had been named CEO. After a tough year, which had seen increasing competition from Amazon and a sluggish e-commerce market, Binny too had stepped aside, and been replaced by Kalyan Krishnamurthy from Tiger Global, which was then the biggest investor in the company. But even as their role within Flipkart had waned, the Bansals had turned prolific angel investors. Thanks to their holdings in Flipkart shares, Sachin and Binny are enormously wealthy, having had a reported net worth of $650-750 million (Rs. 4550 crore) each in 2017. The duo have been putting this money to good use — Sachin is an angel investor in as many as 7 startpus including Inshorts, Ather Energy, Unacademy and the now-shut SpoonJoy. Binny has been even more prolific, investing in Inshorts, Ather Energry and Unacademy with Sachin, but also investing in fashion portal Roposo and gaming company MadRatGames, among others. It’s possible that Sabin Advisors could be used as a vehicle by Sachin and Binny while investing in new companies — indeed, the “Advisors” in the name would suggest so. The duo have also invested together in several companies, so it’s likely that they have similar investment theses, and would look to formally join forces. Or it could be something completely different — Sachin and Binny are still in their mid 30s, and even after creating India’s most valuable startup, might be again up for a new challenge. Time, as always, will tell what Sabin Advisors turns out to be.